Udaipur City was founded by Mahrana Udai Singh of Mewar as the Capital of Mewar Kingdom. He shifted his capital from Chittorgarh to Udaipur which was safe since it is surrounded by Aravalli Hills and Lakes. To protect Udaipur from attack by others he built seven huge gates and 6 km long wall . Royal courtyard inside the City Palace was the first construction for the City Palace. He also built various other significant structures while he was in the reign. Some most famous historical places to visit in Udaipur are City Palace, Sajjangarh Palace, Dil Kushal Mahal, Fateh Prakash Palace, and more. Badi Mahal is a unique part of the City Palace of Udaipur and is also known as Garden Palace. The palace is located at a height of 87 feet in a centralized position with an exotic garden. The hall of the palace is decorated with exclusive paintings from 18th and 19thcentury. City Palace Udaipur is one of gorgeous tourist attraction in Udaipur and this is the epitome of royalty and nearly 400 years old. The palace is a splendid architecture that was built by Maharana Udai Singh II. The palace is located on the banks of Lake Pichola and is a great a combination of the Rajasthani and Mughal architectural styles. Dil Kushal is an exclusive section of the city Palace of Udaipur which was especially dedicated to the royal women of the palace and the interior of the palace is embellished with exquisite mirror work and white marble. The section really looks gorgeous as it is overlooking Lake Pichola and surrounded by beautiful Gardens. Fateh Prakash Palace is an extraordinary palace which has been converted in to a heritage hotel and this palace was built by Maharana Fateh Singh, of Mewar and the palace is having a Durbar Hall or the Sabhagaar and the Crystal Gallery, that is decorated with beautiful and rare paintings and this palace hotel is located overlooking Lake Pichola. Jag Mandir is located on the island of the Lake Pichola and also named as the ‘Lake garden palace’. The Sisodia Rajputs made this palace and it is situated in one of the two natural islands of the Pichola lake and this beautiful palace is named after maharaja Jagat Singh. The Lake Palace is a heritage hotel taken over by the Taj Group of Hotels and is also stated as one of the most romantic hotels of the world. This heritage hotel is known for its ecstasy and the best architecture as the palace was built in the 18th century by Raja Jagat Singh II and it has 83 rooms and suites. The Laxmi Vilas Palace is a gorgeous palace that was built in the 1911but it has been converted in to a fine heritage hotel. 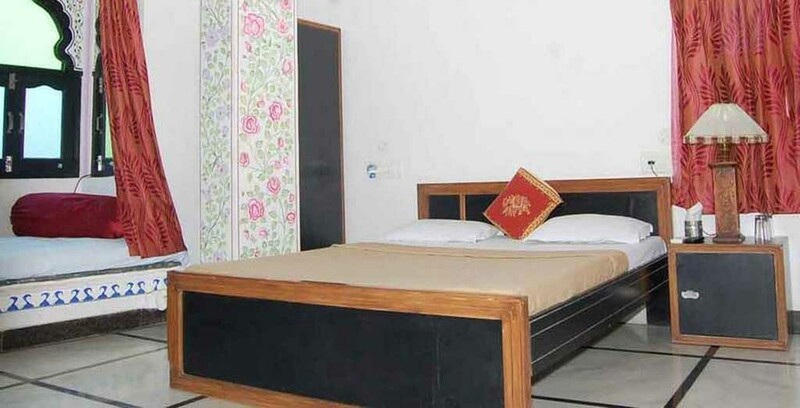 The palace is settled amidst the mighty Aravalli hills and overlooking the Fateh Sagar Lake and the hotel is a gorgeous place to enjoy the cultural beauty of Rajasthan and enjoy best hospitality. Maharana Pratap Memorial in Udaipur is a fine historical site which is dedicated to the best hero of Rajasthan-Maharana Pratap. The site is located on the Moti Margi or Pearl Hill, and this beautiful sight oversees the Fateh Sagar Lake and depicting the best pose of Maharana riding on his favorite ride ‘Chetak’. Made completing in bronze the statue is one of the most favorite tourist attractions in Udaipur. Pratap Gaurav Kendra or Pratap Gaurav Kendra Rashtriya Tirtha is located at Tiger Hills in Udaipur City of Rajasthan. This project was started by Veer Shromani Maharana Pratap Samiti in order to give the information about the legendary King Maharana Pratap of Mewar. The main aim of this place is to promote the historical background of the famous king of Mewar. It is located in the Bargaon area, near Manoharpura, around 9 km from the city. The Kendra has been under construction since 2008 and has been developed at a cost of Rs 100 Crores. The Raj Angan is considered as the entrance of the City Palace and also known as the King's Courtyard. This is a dome shaped structure which is built in a Mughal style and was built by Maharana Udai Singh in the year 1572. The place is also known as Gol Mahal and here one can see the beautiful paintings and articles of Maharana Pratap. RASS is a dynamic palace that dated back to the 18th century and the tourist can have a splendid view of the Dilwara city as it is nestled on the hills. The palace has been converted in to a heritage hotel and that is why one can expect a royal hospitality here which will be a great experience. Sajjangarh Palace which is also known as the Monsoon Palace was built in the year 1884 by Maharaja Sajjan Singh. He was the king of the Mewar Dynasty. The palace overlooks the Fateh Sagar Lake and from the palace one can have the panoramic view of the city and it gorgeous backdrop that includes lakes, palaces, and hills. Shikarbadi Palace used to be the residence of the royal family of the Mewar Dynasty. The palace is located on the beautiful hills of the Aravalli Ranges and also the spectators can spot the spotted deer, peacocks and the various migratory birds. 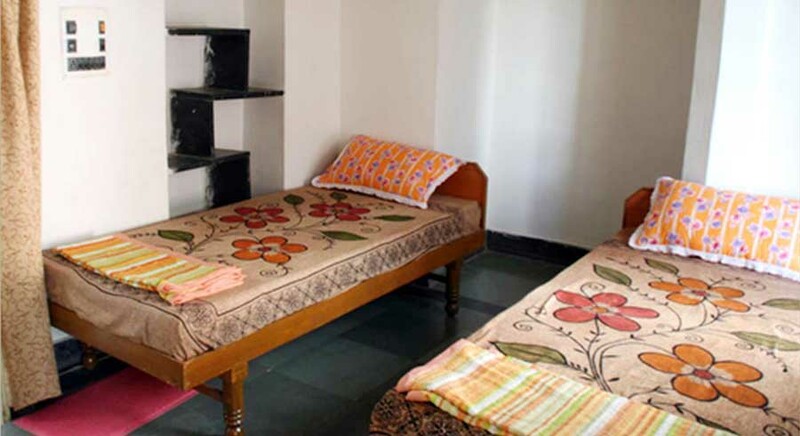 This hotel is also been converted into a heritage hotel and the tourist can enjoy the luxurious hospitality here. Shiv Niwas Palace used to be the official residence of the Maharana of Udaipur and this beautiful palace is located on the banks of Lake Pichola. The construction of the palace was started by Maharana Sajjan Shambhu Singh and completed by his successor Maharana Fateh Singh. The palace has been converted into a heritage hotel and taken over by HRH group of hotels.